Things To Take With You When You Go Foraging. Enjoying nature and it’s bounty is the heart of foraging. It’s all about foraging for wild edibles. What to take with you when you go foraging. I love the homesteading life. It’s about simple, healthy living for us. Enjoying nature and it’s bounty. Raising much of our own food, and foraging for wild edibles. From dandelions, violets, and morel mushrooms, there is an entire world out there just waiting to be explored and tasted. There are many wild edibles you can eat. If it is your first time foraging, you are sure to feel excitement. 1. A good foraging guide. A foraging guide that fully explains the plant’s shape, leaves, habitat, and surroundings. Try and find one with good, full color pictures. For the novice, it’s easy to mistake a plant for a look-alike. Full color photos will help you determine which plant you are truly looking at. When you are out foraging for wild edibles, that is not the time to guess at a plant. Some good reference guides from my affiliate partner are: Idiot’s Guide To Foraging, Edible Wild Plants, and The Forager’s Harvest. Preferably sharp ones. These will help you collect leaves, stems, and blossoms from the plants without having to pull the entire plant out. 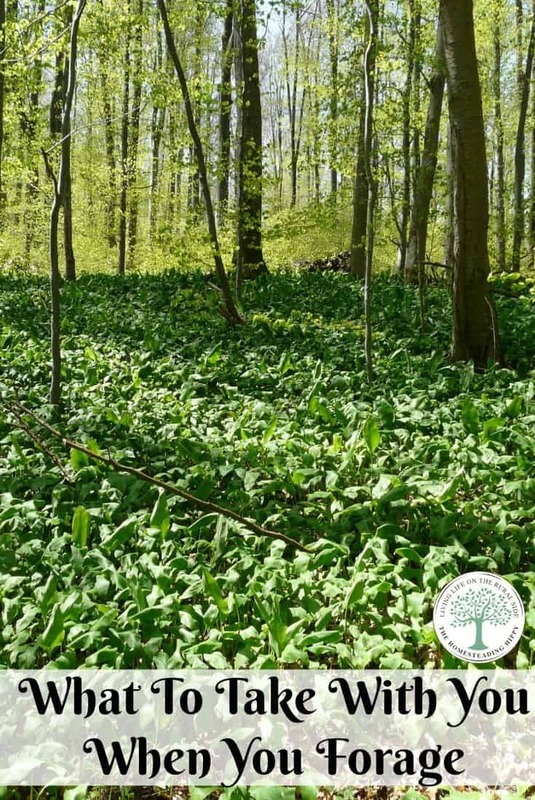 A general rule of foraging for wild edibles is to collect no more than 1/3 of the entire plant, and no more than 1/10 of the total amount of that plant in one area. 3. A container for your collections. This can be a small wicker basket, a Ziploc baggie, a cloth bag, or even a clean grocery bag. It just needs to be something that you can put your wild edibles in to take home with you. I have even used a paper napkin to wrap some dead nettle in. No matter the season, it should go without saying that you should NOT be out hiking, or walking for long periods of time without having water with you. Dehydration is not fun, truly. Always carry at least a small bottle with you when you set out to forage. 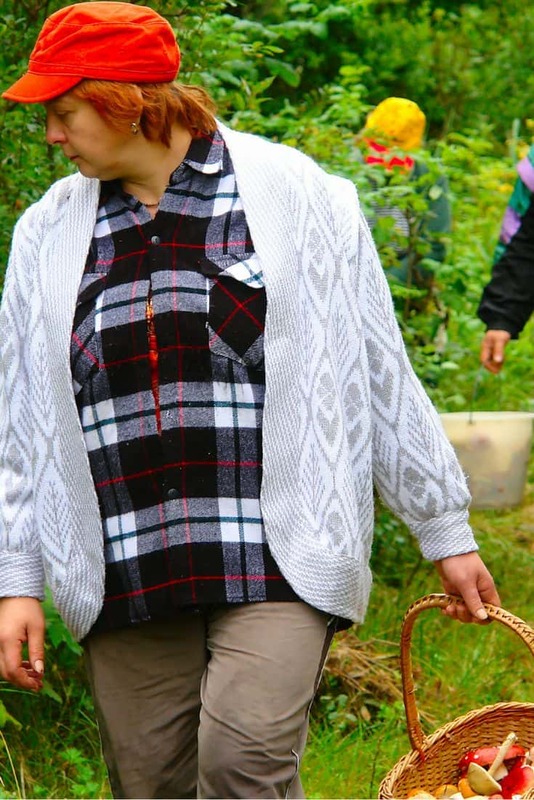 If you are a novice at foraging, you NEED to have someone along that has some wisdom about the plant you are seeking. Ask questions, and keep asking until you have full understanding. It is far too easy to mistake Queen Anne’s lace for hemlock. Having someone along to teach you in the beginning will avoid tragedy. This is especially true when hunting mushrooms for the first time. To see how to make a spore print to help identify mushrooms, read the post here. 6. A notebook and pen. A notebook and pen are vital for recording the location you found a plant, and the plants that surround it. If you bring some color pencils or pens with you, you can even sketch the plant to help you learn more about it. A camera on your cell phone, or otherwise would be even better for taking pictures of plants! Lastly, if you are not absolutely positive about the I.D. of the plant, especially if you don’t know if it’s really a wild edible, DO NOT EAT IT. Take a picture of it in its full habitat, and look it up first. Be positive you can identify what you are collecting. It is better to miss that once in a lifetime plant than to get sick, or develop a far worse condition because you misidentified a species . Have fun, and be safe! What other things would you take along with you while foraging? Be sure to pin this for later! I like to take my camera with me so I can take a snapshot of certain areas. ie: a good location shot of ferns from overgrown wild asparagus in summer, becomes a reference of where I can forage the following spring. Also taking pictures of plants that I’m not familar with allows me to record exactly what they looked like. If they aren’t in my guidebook, I can research them online later. That’s another great idea! thanks for adding that! !